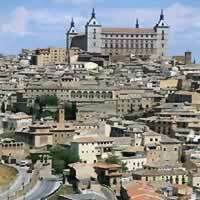 Combine Madrid, Toledo, Granada, Marbella and Sevilla with a rent a car. 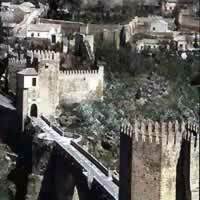 The Andalus region of Spain has a rich and distinct culture and identity. Its name is from the Arabic for `Land of the Vandals,` although this is not the case anymore. It is a region with a strong agricultural center, but also strong center of influence in service, community and industry. 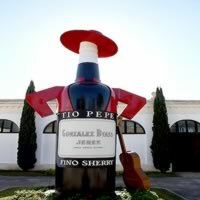 This vacation package focuses on the hightlights of Andalucia. 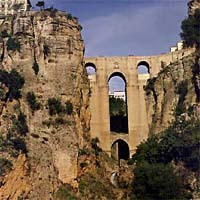 Visit Madrid, Cordoba, Seville, Arcos de la Frontera, Granada and the Costa del Sol. 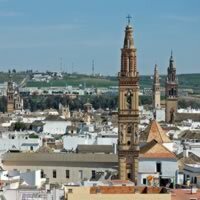 You will experience stunning landscapes, incredible architecture, fashion, food, fun, Flamenco - bullfighting, museums, theaters, bustling public squares and so much more! This is a flexible vacation package. Select your number of nights in each city, desired hotel and activities. 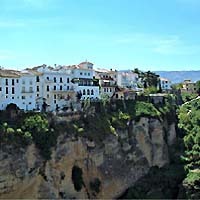 Visit Madrid, Seville, Granada, Ronda, and the Costa del Sol by rail and rent a car. 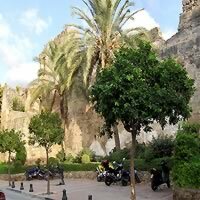 Madrid, Cordoba, Seville, Arcos de la Frontera, Marbella (Costa del Sol), and Granada with the Ave train and a rent a car. 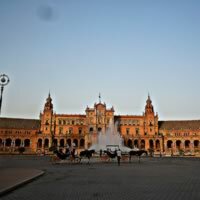 This customizable package lets you explore Morocco and Spain like never before. Start in Marrakech (with several historic and architectural sites, as well as some interesting museums) then hop a flight to Casablanca (A vibrant metropolis with the awe-inspiring Hassan II Mosque - one of the largest in the world and the largest in Morocco, and with the tallest minaret on the planet; the Old Medina and the Shrine of Sidi Abderrahman) and then take another flight to Seville (with its own stunning cathedral, and architectural savvy, the home of Flamenco does not disappoint) and then a final flight to Marbella. This is a flexible vacation package. Select your number of nights in each city, desired hotel and activities. 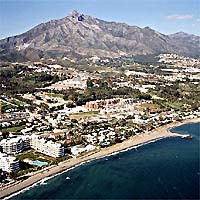 Base yourself in Marbella with a rent a car for exploring the area on your own. A wonderful combination of stunning cities in Europe. 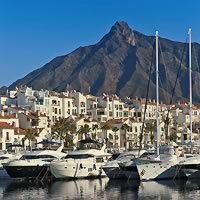 Combine Madrid, Burgos, Santander, Pamplona, Zaragoza, Barcelona, Valencia, Granada, Marbella, Sevilla, Cordoba and Madrid with a rent a car. 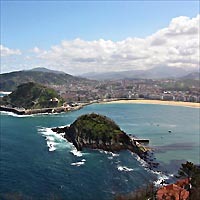 See all the art, museums, churches, historic palaces, parks and more than you can possibly imagine! This is a flexible package. Select your number of nights in each city, desired hotel and activities.